Peggy Collins Photography: Happy National Rubber Ducky Day! 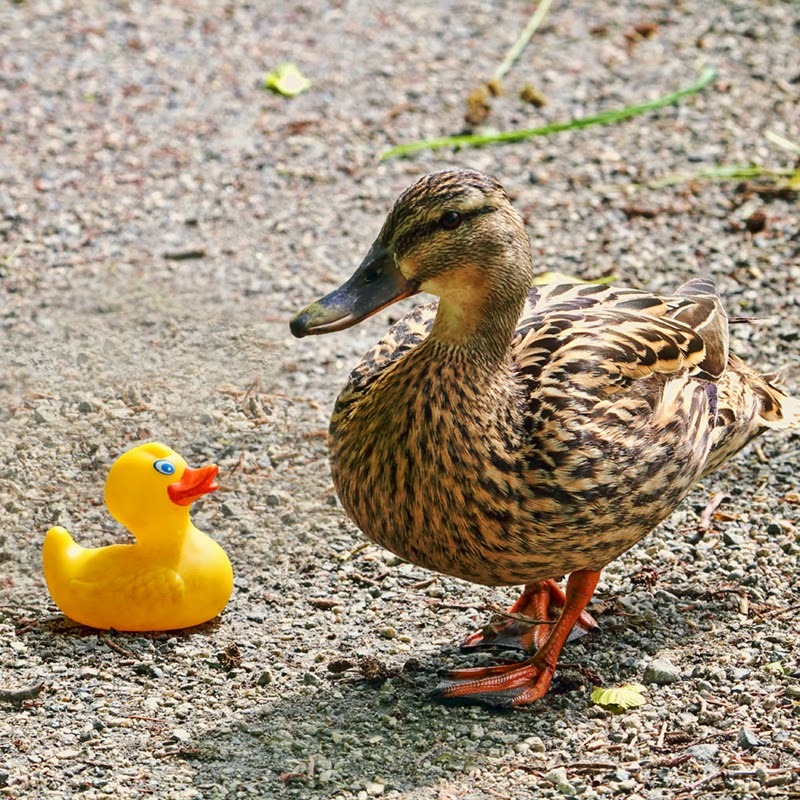 Did you know that January 13th is National Rubber Ducky Day? Well, I just found out myself and I just so happen to have a picture to help us all celebrate this momentous day. So I hope you'll treat your rubber ducky extra nice today! In other bird news, on this morning's hike I went back to the trail where I saw a Northern Pygmy Owl for the first time a few days ago and guess what? I saw another one! (Or maybe it was the same one...that's probably more likely.) This time instead of posing for me he twitched his tail back and forth like a pendulum a few times and as soon as I was about to focus my camera on him, he flew away. I gave him my best Arnold Schwarzenegger imitation and said, "I'll be back!" Labels: "rubber ducky" "national rubber ducky day" "mallard ducks" "female mallard duck" "toy duck"